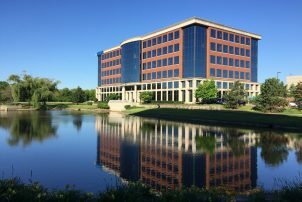 WALKER CONSULTANT’S Chicago West office has relocated to Hoffman Estates, Illinois and is located at 2895 Greenspoint Parkway, Suite 600 Hoffman Estates, IL 60129. The office, managed by Dave Ryan, PE and staffed with over 30 professionals, offers building envelope, forensic restoration, parking design and consulting, and parking and transportation planning services. “The new location allows us to serve our Chicagoland clients more expeditiously and efficiently with access to several major Interstates. We had been in our former location for over 40 years and it was just time for a change” says Dave.